Blackjack is one of the most popular casino games going. One of the reasons I love playing it is because it blends luck and skill in a way that few games do. The basic strategy is pretty easy to master. But then you can hone your game by learning all the best times in the game to split, double-down or have another beverage. But when you’re looking for a table either online, or in a brick and mortar casino, there’s one big thing you should watch out for – the payout you receive when you get a Blackjack. It might not seem like a big deal, but if you wind up at a table with less than optimum odds, you’re taking money out of your wallet and giving it to the casino. What you should look for is this simple phrase: “Blackjack pays 3:2”. That means when you hit a Blackjack on a bet of $50, you receive $75. It’s one of those seemingly little details that make Blackjack one of the best games to play from an odds perspective. 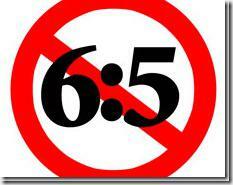 But some tables in some casinos only offer 6:5. And that minor difference adds up to significant losses when you play enough hands. It should come as no surprise that our good friends here at Silver Oak offer the superior 3:2 odds for Blackjack. Play Blackjack now.